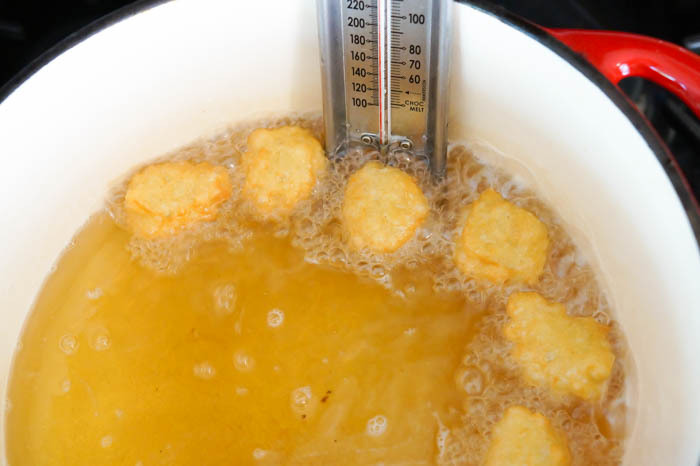 If you are a little intimidated by frying in oil, this is the recipe to push you through. 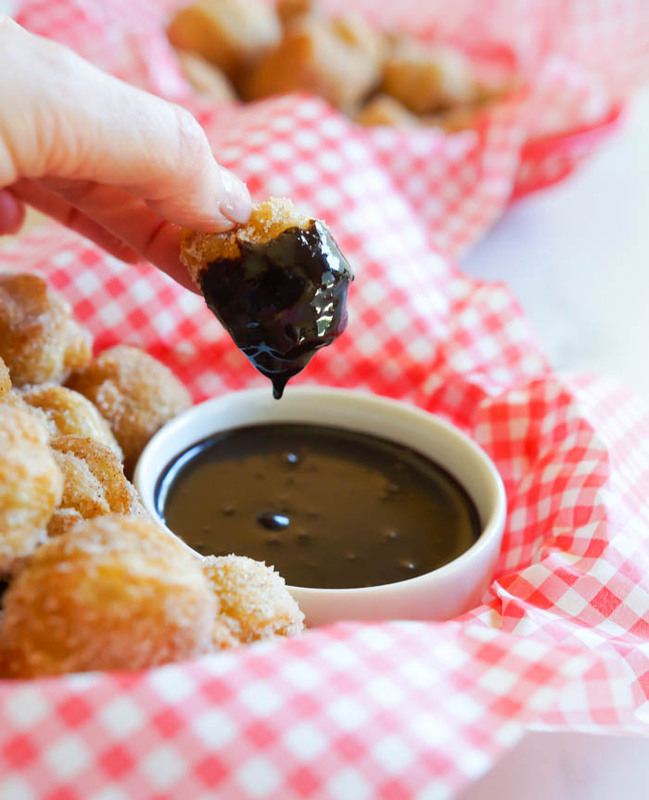 Fried bits of dough, coated in cinnamon sugar and dipped in a spiced chocolate fudge sauce...what's not to love? 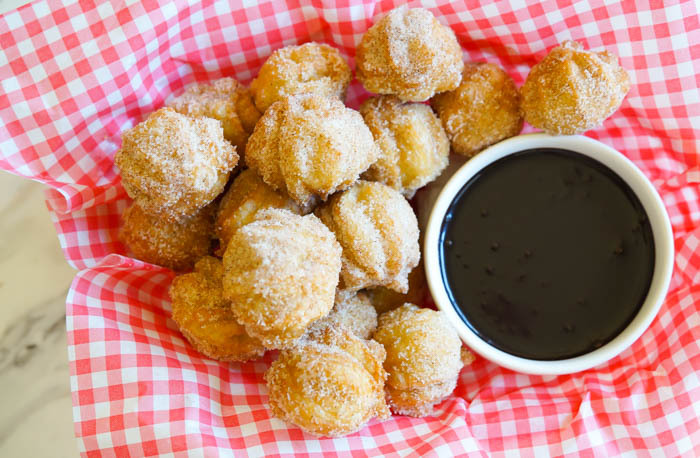 The churros have a bit of cinnamon in the dough and they fry up light and airy. So light and airy in fact, that you could eat way more of these than is probably recommended. The spiced sauce isn't spicy but has just a pinch of cayenne to make you think..."there's something special here." I don't do a lot of frying around here. Until I figured out a technique for dropping the dough into the oil, I burned myself twice. (Worth it.) I'll tell you more about that in a second. 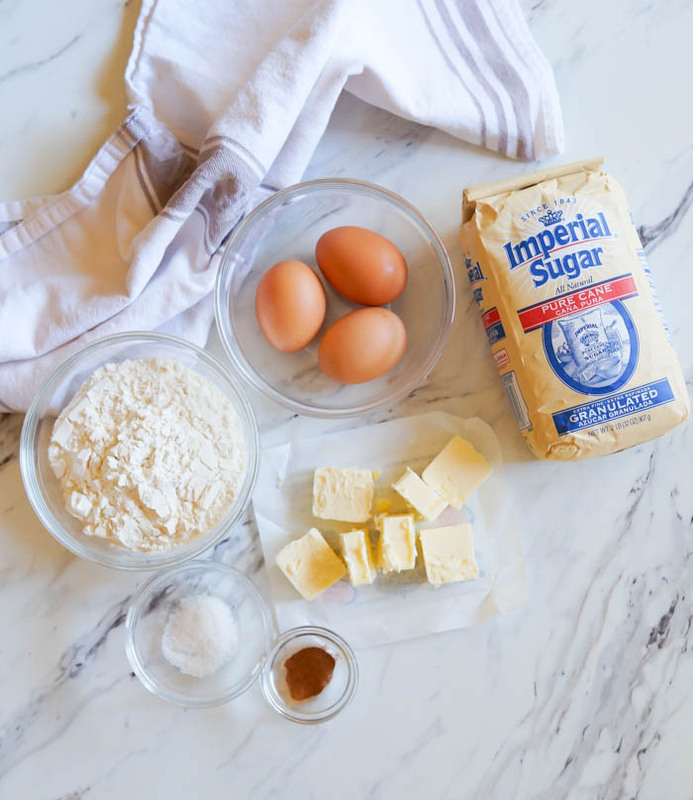 First, make the chocolate fudge sauce. Try not to eat it all. Next comes the dough. It comes together in a snap. 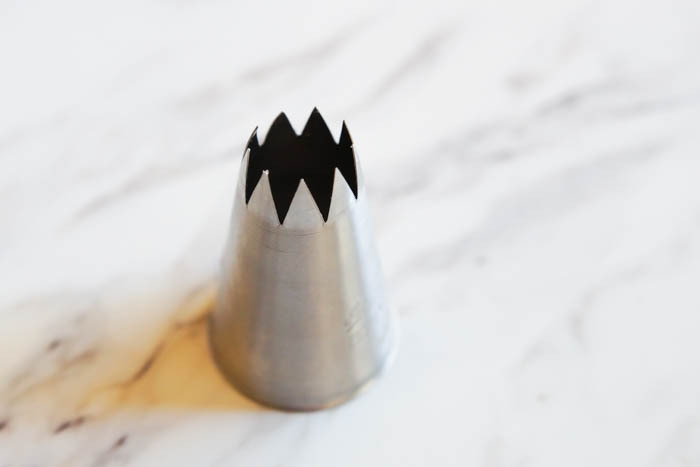 You'll put it in a pastry bag fitted with a large star tip. Here's the thing that will save you from burning yourself. 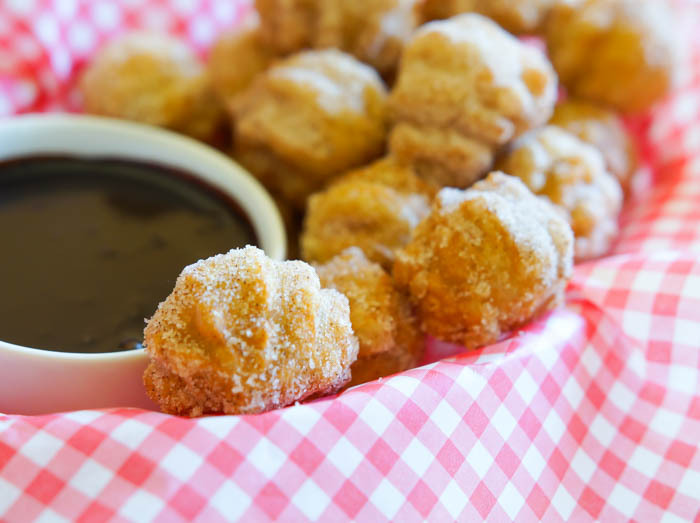 Most recipes for churros will have you piping the dough right over the hot oil. No. Don't do that. 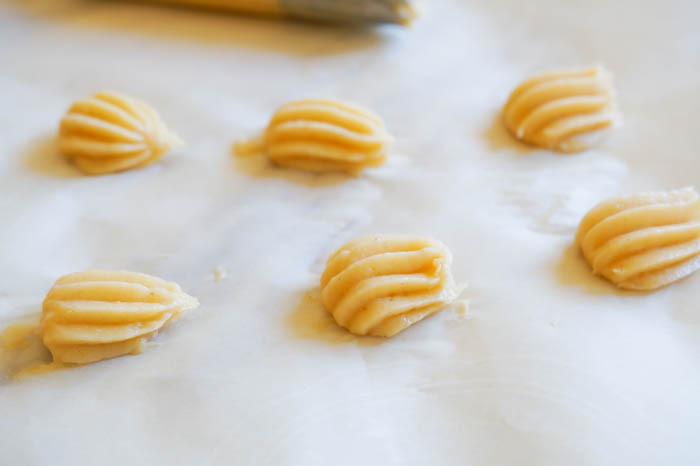 Instead, pipe little bits of dough, about 6 at a time, onto parchment paper. When ready, slide a table knife under each dollop, and tap the knife on the side of the pot of oil to release. 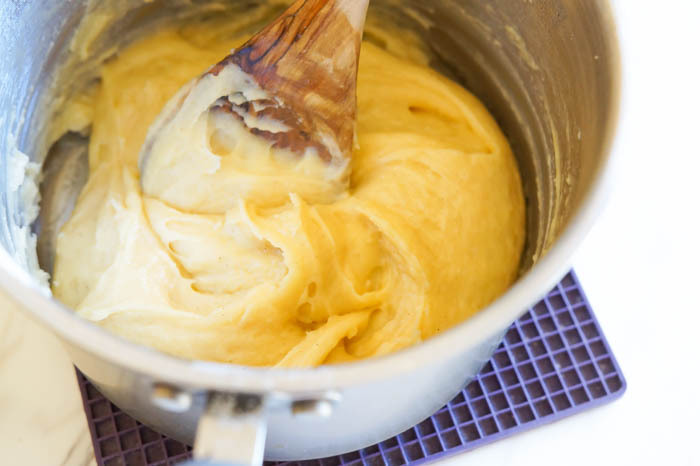 Those little bits of dough fry up to a golden brown...it only takes a couple of minutes. 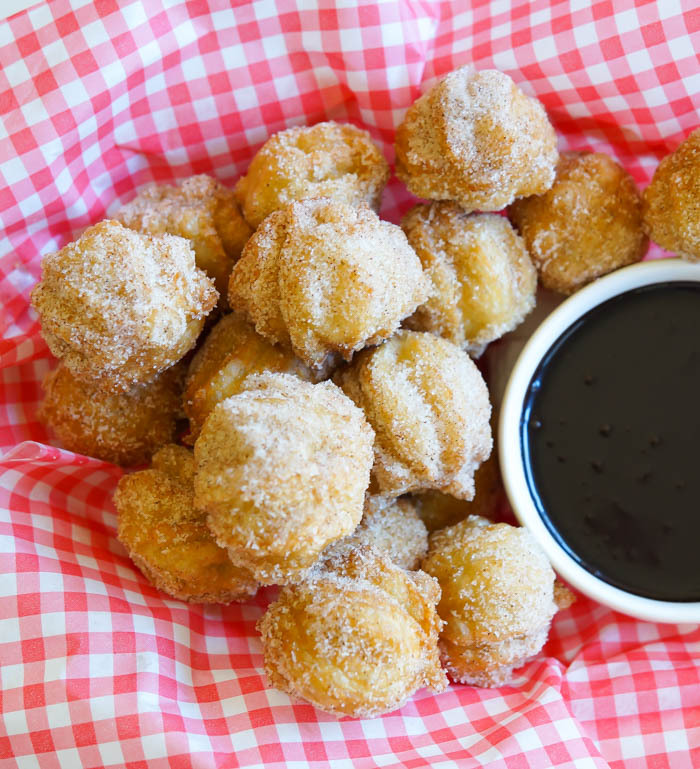 Out of the oil, into the cinnamon-sugar, and they're ready for serving. 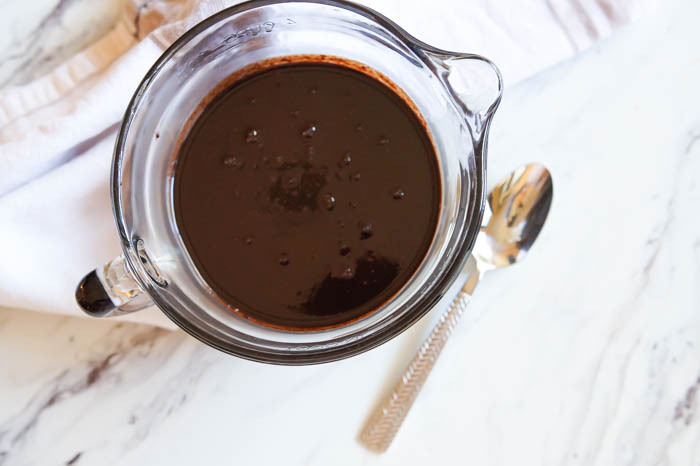 Heat up the spiced chocolate fudge sauce for dipping. 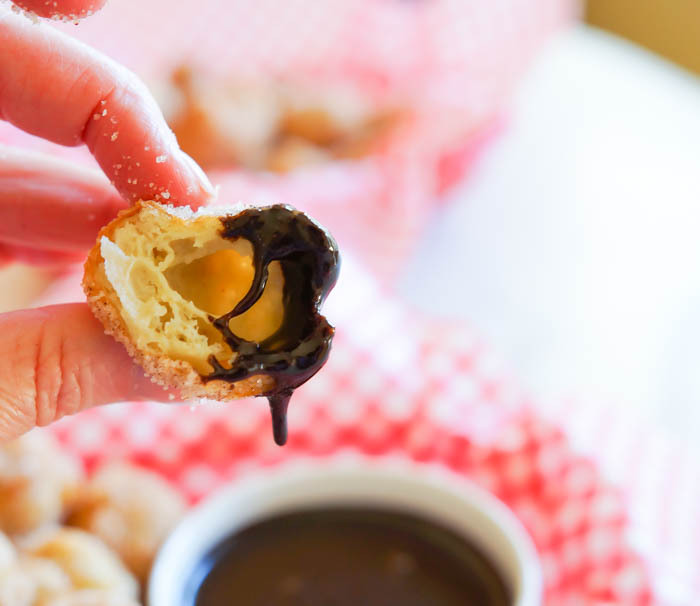 You'll find my recipe for Churros Bites over on Imperial Sugar! Bridget, next time you make these, let me know, so I can hop on the next plane! YUM, YUM, YUM!!!!!!!!! Wow! The insides look delicious too!